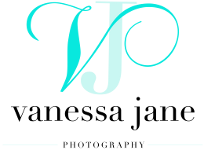 Vanessa Jane Photography specialises in capturing the special moments in everbody's life. Her unique and creative approach together with her gunuine passion for photography ensures that all her images capture your precious memories forever. Being a mum herself, she knows there is nothing more rewarding than capturing special moments in your child's life. A baby soon grows into a child and then an adult. I have a friendly and outgoing personality. Being a female photographer has distinct advantages, especially when it comes to photographing the more intimate moments during a Wedding day, or when coaxing children into a portrait you will treasure forever. I understand that everyone has busy lifestyles and therefore I offer the flexiblity of opening the studio at the customer's convenience.